On Tuesday, June 7th, Special Olympics Pennsylvania’s Philadelphia Program (SOPA Philly) continued its strong partnership with the School District of Philadelphia to present the fourth annual Unified Soccer Championship held at Abraham Lincoln High School in Philadelphia. Opening Ceremonies for the Unified Soccer Championship kicked-off at 10:00am with event emcee and 93.3 WMMR DJ Matt Cord, followed by the Championship game at approximately 12:30pm. The Championship matches featured teams from nine Philadelphia high schools from across the city including: Abraham Lincoln, Universal Audenried Charter, Frankford, Furness, George Washington, High School of the Future, Martin Luther King, Sayre, and Thomas Edison. Approximately 100 athletes culminated months of preparation for these Unified Games and displayed the “best of the best” during this year’s competition. An Olympics Town provided fun and entertainment for all guests with activities by Dave and Busters, Philadelphia Union, and Sambulance. In addition, students from four middle and elementary schools were in attendance to cheer on the inspiring sportsmanship of the athletes in action. Those schools included: Clara Barton Elementary School, Solis-Cohen Elementary School, Tilden Middle School, and Universal Daroff Elementary School. Special Olympics Unified Sports® is an inclusive sports program that puts athletes with and without intellectual disabilities on the same team. This Interscholastic Unified Sports Soccer elective course, developed in partnership between the School District of Philadelphia and Special Olympics Pennsylvania, includes curriculum with youth leadership components, anti-bullying elements and soccer training and competition. The course provides greater access to sports for all students, with and without disabilities. Additionally, a partnership with the Pennsylvania Interscholastic Athletic Association (PIAA) helps to provide officials for Unified events. Check out news coverage of the Championship by PHL17. 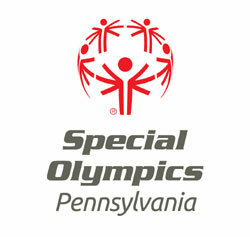 Visit the Special Olympics PA – Philadelphia program website for more information, games results and photos!